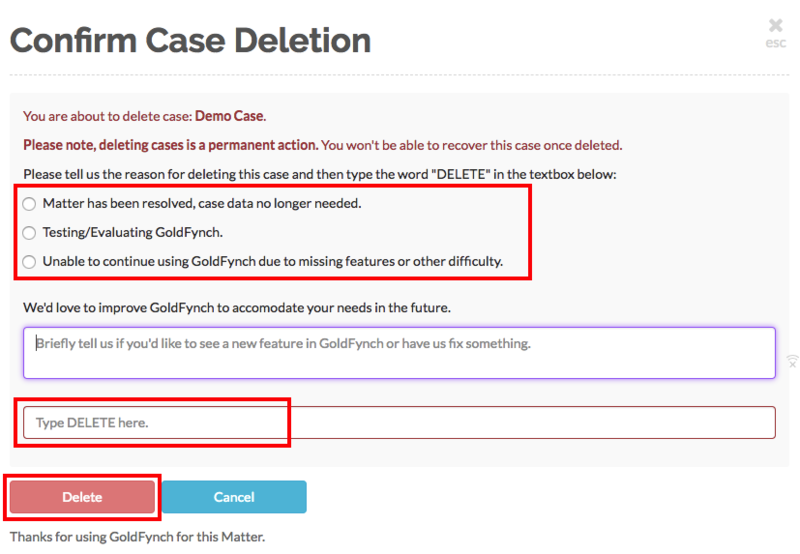 If you wish to delete your GoldFynch case, follow the steps below. 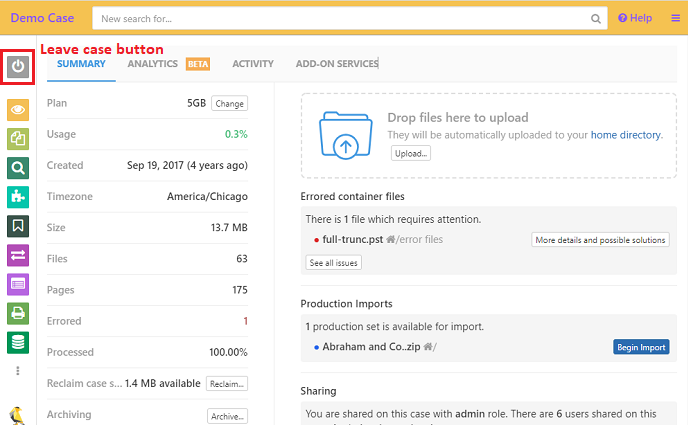 Note that once a case is deleted, it is completely wiped from the GoldFynch platform and all the data is irrecoverable. If you may use the data in the future, consider archiving the case instead of deleting it. This will store all the case information at a fraction of the cost of the active case. Archive cases are placed into “cold storage” and the process of archiving or retrieving cases from the archive takes between 24-72 hours. Step 2. Click on the delete (trash can) icon against the case you wish to delete. Your case will be completely removed from GoldFynch servers, and billing will cease from that point on.